Family support is crucial at James Hopkins Trust. We understand the impact having a child needing such specialist support can have on a family. 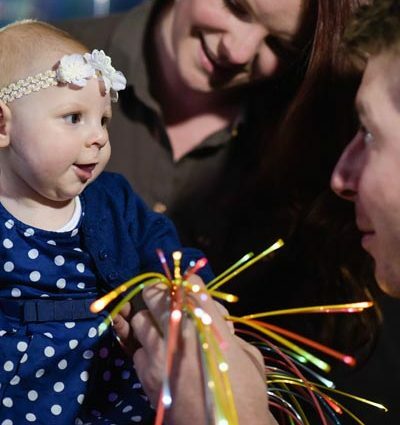 James Hopkins Trust give families the chance to relax by providing families with the opportunity to spend quality time together, knowing their child is in safe hands. 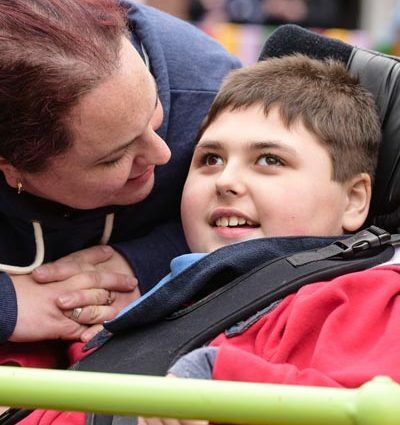 James Hopkins Trust is a brilliant place for families to meet other families who also have a child who is life limited or severely disabled, many lifelong friendships are enjoyed and there is a wonderful sense of community at Kites Corner. Parents, who often struggle to cope with their child’s illness or disability, find some relief from their responsibilities of care here at Kites Corner. They can relax, be themselves and do what any parent wants to do – be a parent again. Brothers and sisters, who might be feeling isolated, scared or confused, have a chance to play together, share some special times and have a little fun, too. We often hear people saying that the whole family enjoy coming to Kites Corner because it is a place where they can be understood, where they can receive specialist care and where they can make lifelong friends while finding the space and time to smile despite everything.